ISTANBUL (Reuters) – A Turkish court on Wednesday sentenced 64 military academy officers and trainees to life in prison for involvement in a failed military coup in 2016, the state-run Anadolu news agency said. Let there be no mistakes, Israel is identified and identifies itself with the United States insofar as the fundamental, value-based nature of their relationship and their shared predominant interests are concerned. Unlike the Non-Aligned Movement in its time, Israel does not “sit on the fence” when it comes to its relationships with America and Russia. Policy and diplomacy, however, are not a zero-sum game, and the interests Israel shares with the U.S. do not come at the expense of its shared interests with Russia. At the very least, there is minimal conflict. As the saying goes, why choose when you can have both. Benjamin Netanyahu appears to be the first prime minister since David Ben-Gurion to take a comprehensive view of Israel’s relationships with the world, friends and enemies alike, rather than strictly through the lens of the Israeli-Palestinian conflict. In his opinion, Israel must always try to find ways to advance its diplomatic, security and economic objectives while heeding the realities of a world where past conventions are mired in ever-expanding processes of evolution and change – for better and for worse. Netanyahu saw, for example, that despite the small differences, there is no inherent contradiction between the American interest in stabilizing the situation in Syria while curbing Iran’s geopolitical aspirations, and the Russian interest in limiting its alliance with Iran to specific goals, rather than broadening that alliance into sweeping support for all of the Islamic republic’s belligerent and hegemonic goals. Russia has not forgotten the trauma of its disastrous embroilment in Afghanistan, which in President Vladimir Putin’s mind was one of the factors that led to the Soviet Union’s collapse. Therefore, he will do everything in his power to make sure Syria does not become another Afghanistan. This directly impacts Israeli-Russian relations. Netanyahu was able to realize, then, the importance of cultivating good relations with Putin’s Russia – parallel, not in contrast, to Israel’s intimate relationship with Trump’s United States, and acted accordingly. Israel, for example, sees Iran’s ongoing presence in Syria and Lebanon, whether directly or through its various proxies, as a severe security threat that must be eradicated before it spreads. That is why Israel has acted on several fronts – covert and overt – to prevent it from happening, likely with Russia’s knowledge. It would be an exaggeration to say that Israel is acting under a Russian umbrella (or an American one) in this regard. It’s safe to assume, though, that Moscow is sufficiently troubled over the possibility that Iran’s measures and Israel’s countermeasures could drag it diplomatically and perhaps even militarily to a place it does not want to be. Russia was also dubious over Iran’s machinations in Syria. According to reports, an immediate “trigger” for a possible all-out conflagration on the northern border is the intention of Iran and Hezbollah to transfer the bulk of their activity to Lebanese territory, including the manufacturing of precision missiles and other sophisticated weapons. During his brief visit to Moscow, Netanyahu apprised Putin about these potential scenarios. He did so to avoid any misunderstandings if Israel has to act militarily to disrupt these Iranian plans. The Russian military delegation’s visit to Israel, headed by Gen. Nikolai Patrushev, immediately after Netanyahu’s meeting with Putin, testifies to Russia’s alertness regarding Israel’s concerns and intentions. Moreover, despite the overall increased tensions between the U.S. and Russia these days, on the matter of Iranian activity in Syria and its possible expansion to Lebanon, there is a modicum of alignment between the two powers, and between each of them and Israel. One final word of note: In international relations, one must tread cautiously. Painting the nature and scope of cooperation between Israel and Russia in such a positive light is not always accurate, particularly when it comes from people who are not in the know. It can even be detrimental to Israel’s relationship with Russia and even the United States. By now, we can call these rapidly unfolding events the “Lebanese missile crisis.” The players are Israel, Iran, Russia, Hezbollah and Lebanon. On Tuesday, Lebanon inserted itself into the equation, when leaders of various factions convened in Beirut and made demands of Israel. The demands pertain to the barrier Israel is constructing along the Lebanese border, and the borders of Lebanon’s territorial waters. Almost simultaneously, IDF Chief of Staff Lt. Gen. Gadi Eizenkot guided cabinet ministers on a tour of the northern border. Perhaps counterintuitively, the declarations from cabinet ministers over the past week, threatening as they may have been, along with their very visible border tour, could in fact point to a willingness to manage the “missile crisis” in a manner that would not lead to a military confrontation. What Israel has gradually done in recent months – and in the past week more intensively – is make its position very clear. Officials in Israel view Iran’s efforts to build precision missile factories in Lebanon as evidence of its failure to transfer those weapons in convoys via Syria. Prime Minister Benjamin Netanyahu drove the point home in his meeting with Russian President Vladimir Putin in Moscow a week and a half ago. The Russian president was told unequivocally that there are specific targets that at some point or another Israel will have to hit, similar to its actions in Syria. If a mistake occurs, these surgical strikes have the potential to spiral out of control and spark a conflagration. None of the sides want this missile crisis to result in a war. However, Israel has an advantage. It has already voiced its position, and the border tour on Tuesday elucidated its message. If the Iranians do not take a step back on the issue of precision missiles and their production on Lebanese soil, they will essentially leave it to Israel to choose when the next round of fighting begins. Another advantage Israel has is its well-established reputation in the region as the only power that sets red lines and enforces them. In this regard, the political and defense echelon’s policies have been a complete success. Therefore, Israel’s messages are credible; even the recent reports of an Israeli air campaign against Islamic State in Sinai serve to punctuate its deterrence messages. The Russians visited Israel to rein it in. Now they need to move the Iranians. The impression left by the mutual border tours – one by Ayatollah Ali Khamenei’s apparent successor and the other by the Israeli cabinet – is of a bargaining ploy, not a process that has spun out of control. Because both players are tied to the Russians, a military clash is reasonably unlikely. If Israel had a different prime minister in power today – one who flaunts actions instead of valuing dialogue – concerns would be far greater. According to the IDF’s recent assessments, we are not going to war. Lebanon’s Higher Defense Council said Wednesday it has ordered the army to prevent Israel from building a border wall on Lebanese territory. The council also announced that if Israel does build its border wall on what Beirut views as Lebanese territory, it would be considered an Israeli act of aggression. 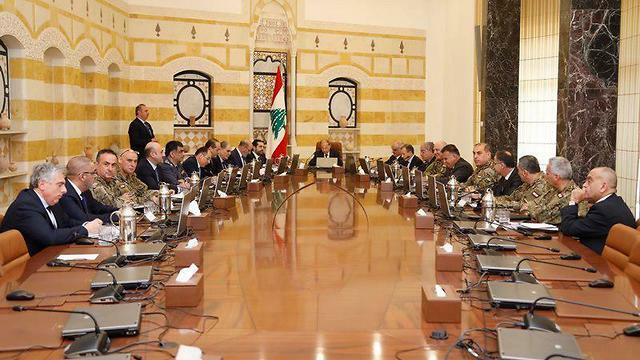 Lebanon’s Higher Defense Council is headed by President Michel Aoun and also includes Prime Minister Saad Hariri and the ministers of defense, foreign affairs, finance, interior and economics. 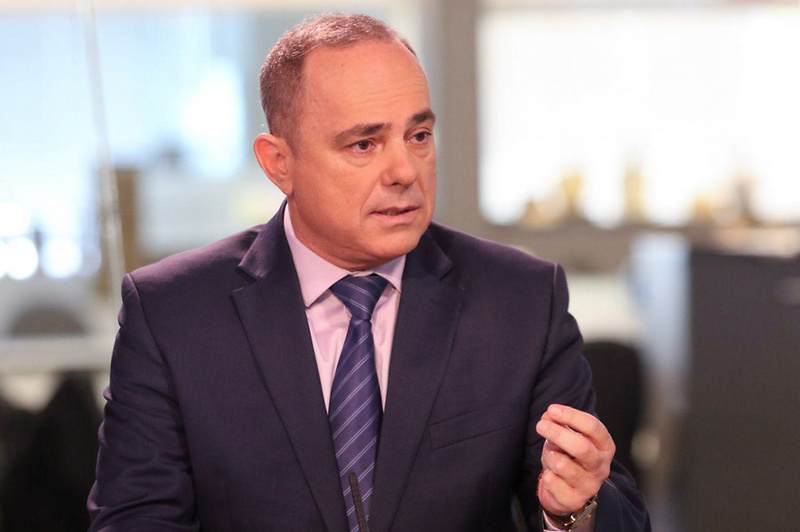 Earlier Wednesday, Energy Minister Yuval Steinitz stressed that Israel seeks a diplomatic solution to the dispute with Lebanon over territorial and maritime boundaries, but warned any aggression will be met with force. “I think both Israel and Lebanon are interested in a diplomatic solution. They should not make any threats, though, and definitely not infiltrate our economic waters,” Steinitz told Ynet. Lebanon’s leadership vowed on Tuesday to act to prevent Israel from building a wall on Lebanese land at the frontier, and threatening an offshore energy block in disputed waters. Israel says the wall it is building is on Israeli sovereign land. The Lebanese government says it passes through territory that belongs to Lebanon but which lies on the Israeli side of the Blue Line, where the UN demarcated Israel’s withdrawal from southern Lebanon in 2000. Lebanon also has an unresolved maritime border dispute with Israel over a triangular area of sea of around 860 sq km (330 square miles) that extends along the edge of three of five blocks Lebanon put to tender early last year. Lebanon in December approved a bid by a consortium of France’s Total, Italy’s Eni and Russia’s Novatek for two blocks. One of the awarded blocks, Block 9, borders Israeli waters, and Israel claims it belongs to it. Steinitz said Israel was willing to accept American mediation to resolve the issue diplomatically. “There was international mediation on the matter in the past. We were close to reaching a compromise in 2013, but the whole thing collapsed at the eleventh hour,” he said. US Secretary of State Rex Tillerson is expected to visit the Middle East, and particularly Lebanon, soon to help in mediation between Jerusalem and Beirut over the two issues. Washington has already sent the Assistant Secretary of State for Near Eastern Affairs, David Satterfield, to Lebanon for a surprise visit. He met with senior government officials on Tuesday to discuss the border disputes. The United Nations Interim Force in Lebanon (UNIFIL) is also trying to calm down the tensions by facilitating talks between IDF representatives and their counterparts in the Lebanese army. “I didn’t need these explicit threats,” Steinitz said. “Energy security and the protection of our energy installations—and to a great extent the gas rigs as well—is at the top of our list of priorities,” he said. 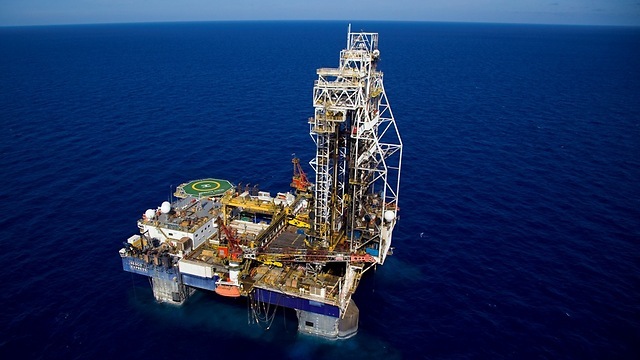 Steinitz stressed that despite the threats from Hezbollah, Israel will continue drilling for gas. Maj. Gen. (res.) 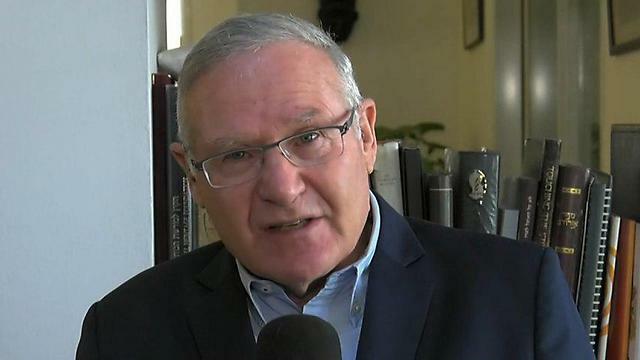 Amos Yadlin, the head of the Institute for National Security Studies (INSS) and the former head of Military Intelligence, said Hezbollah was merely trying to find other pretenses to attack Israel. “The Iranians and Hezbollah are planning on building a precision missiles factory in Lebanon. Hezbollah can’t justify this to the Lebanese people and is looking for other reasons that it could possibly explain. One of these reasons is the gas field, and the other is an overground obstacle that Israel is building on the border,” Yadlin said. The INSS chief said that while Hezbollah has precise Russian P-800 Oniks (Yakhont) missiles they got from Syria, which could hit the gas rigs, Israel has its own defensive and offensive measures against such missiles. “We’ll see the results if a conflict breaks out,” he said. Iranian Defense Minister Brig. Gen. Amir Hatami said in a speech celebrating the new mass-produced weaponry Monday that the new drones, dubbed the Mohajer 6 (Migrant) are “equipped with smart Qa’em precision-striking bombs and different electro-optical explorers and different warheads, [and] can trace, intercept and destroy the target.” Before the ceremony, the new drones were delivered last week to the Revolutionary Guards for their war efforts across the Middle East, especially in Syria, where Iranian-backed forces have attacked US troops. DEBKAfile adds: The new weapons, which have a range of more than 900km, have reached Syria and most likely Hizballah as well. Their main purpose is to arm Iranian and Hizballah forces in Syria with their own air force capability and so reduce their total dependence on the Russians for air support. Iran recently gave the pro-Iranian Shiite militias fighting ISIS in Iraq a fleet of Shahed 285 light fighter jets, to boost the autonomy in battle of the forces deployed by the Revolutionary Guards. Iranian-backed forces, that is, would take both sides of the border, so for Iran there would be no border. In June, Soleimani was reported to be on the Syrian side of the border. Now, it is reported that one of Iran’s hardest-line leaders, Ibrahim Raisi, has visited the Israeli-Lebanese border. Raisi, the defeated candidate for president in 2017, is a member of the Assembly of Experts that will choose a successor to Supreme Leader Ali Khamenei and is a candidate for that position himself. Visiting Beirut, he took time to talk with the head of Hezbollah and to pay his respects at the home of the late terrorist mastermind Imad Mughniyeh. Like Soleimani’s Iraq-Syria border visit, Raisi’s Lebanon-Israel border visit delivers several messages. First, borders have no meaning for Iran; the Islamic republic is determined to be the dominant player in Iraq, Syria, and Lebanon. Second, the governments of those countries have no control of their own borders and territory; Iranian military and terrorist leaders can come and go as they please. Third, whether Lebanon gets into a conflict with Israel will be determined by decisions made in Tehran, not in Beirut. That is a sad development for most Lebanese, who are not fanatical Hezbollah supporters. But it is one the United States should keep in mind as we assess our relations with Lebanon and our military aid to that country.